Seeing Failed to Initialize 0x800106ba? Here's how to fix it. Windows Defender Failed to Initialize 0x800106ba? Have you received the error, “Windows Defender. Application failed to initialize 0x800106ba”? Windows Defender can fail if there’s interference from another security application, because Defender itself stops or because its components are corrupted. Try the following tips to get Defender working again. Did you install any new programs recently? 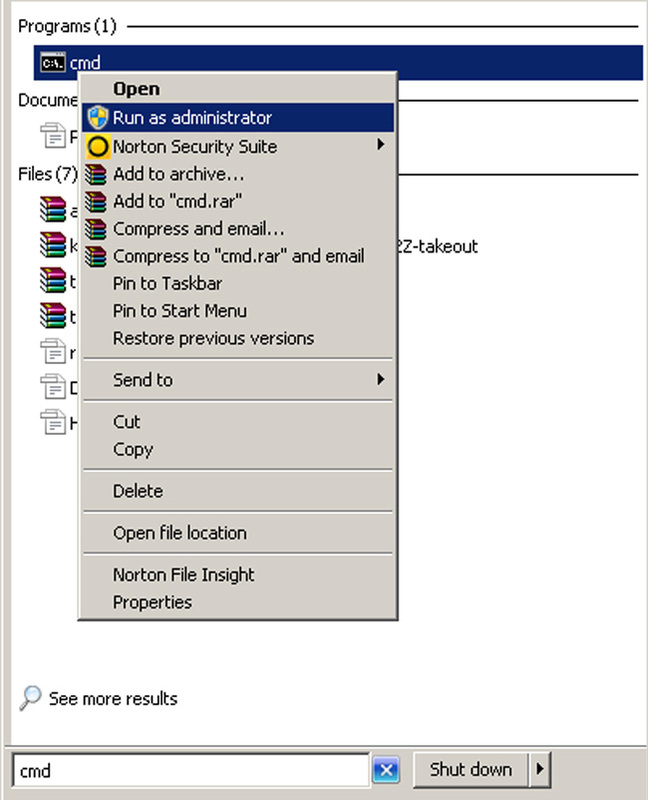 If you have other security applications running alongside Defender, you may see conflict when the programs both try to protect your computer at the same time. If you have another full protection security application running, you may want to consider keeping Defender disabled. If you have no security program interference, perform the following steps to resolve the issue. Step Two: Double click the service “Windows Defender”. Step Three: Click the “General” tab and verify that your start-up type is set to automatic. If it’s not, set it to automatic now. 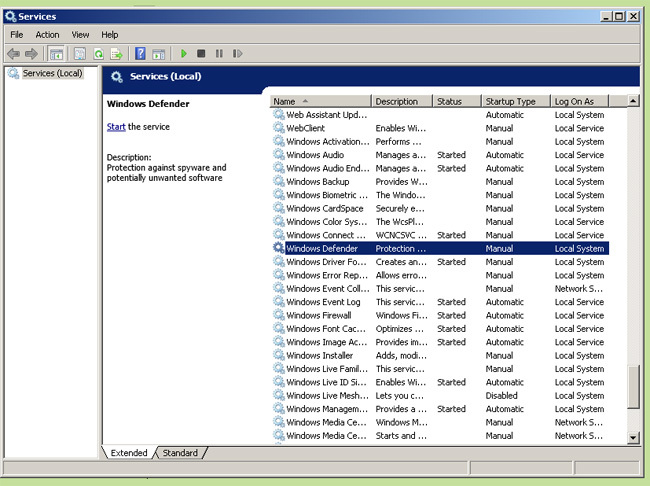 Step Four: Click Start under “Service Status” to start Windows Defender. Step One: Click Start, click Run and type appwiz.cpl in the box. Click OK. Step Two: Click Windows Defender and then Remove. Step Three: Follow the prompts to Uninstall. Step Four: Now download and reinstall Windows Defender. Follow the installation prompts to complete your reinstall. Once finished, launch Defender to check for errors. If verifying or uninstalling and reinstalling Windows Defender didn’t resolve your issue, you’ll need to register DLL files related to Defender. Step Three: Close Command Prompt and run Windows Defender. Step Four: Go to the “Permissions” tab and click “Edit” and then “Add”. For “enter the object name to select” type in “authenticated users” and click OK. In the next window, click on the top check box for “allow” and it will autofill all of the boxes. Uncheck the bottom box, which reads “apply these permissions to objects and/or containers within this container only.” Click OK. Step Five: At the next window, you should see “authenticated users” in the list of permissions. Check permissions for authenticated users. Note: If your warning reads “Error Code 0x800106ba The systems license has expired. Your logon request is denied,” rather than application failed to initialize, you may be able to fix the system license issue through the Fix It for Me function. If that doesn’t work, you can try to fix the license expiration error by the same method as the application failed error. Both messages are a risk particularly after you’ve updated Defender. Once you follow the steps to resolve your Defender application issue, you should be able to run the program without errors. If you encounter the error again with a future update of Defender or its associated program Action Center, repeat these steps to get Defender up and running again. If you are still having trouble please leave a comment below.